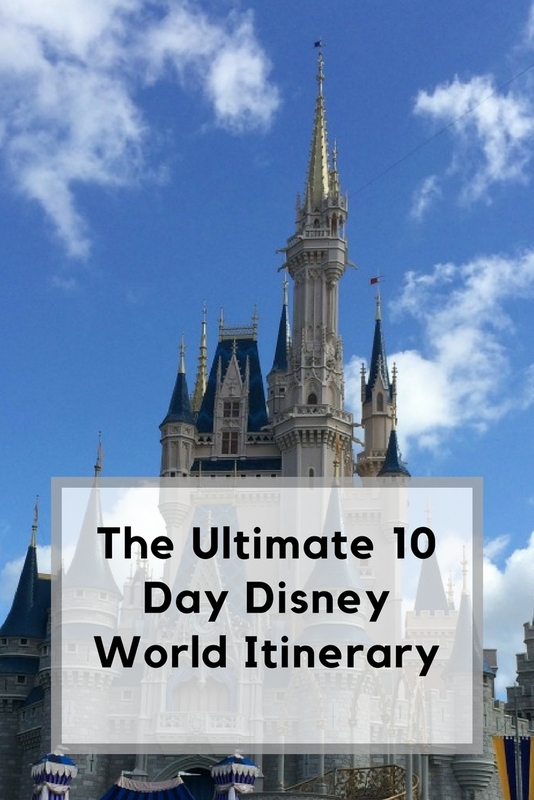 After three trips to Walt Disney World, first for 12 mights, second for 9 nights and the most recent for 10 nights, we have found the perfect 10 day Disney World Itinerary that works for us. A big part of the holiday for me is the planning stages, and having just over a week at Disney World leaves me plenty of spaces for planning our days. This is something I really enjoy and I fully appreciate planning isn’t for everyone. 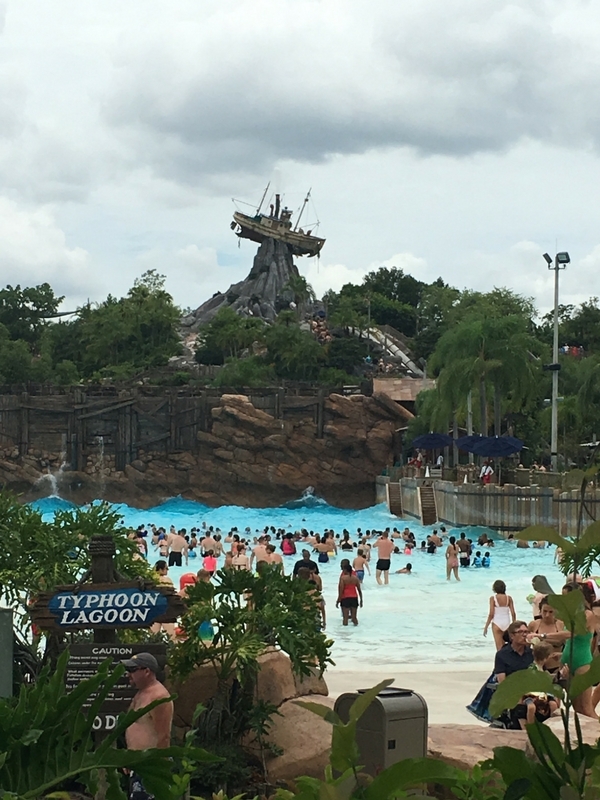 This 10 day Disney World itinerary is based on 10 days at Disney World, staying in a Disney resort, using Disney transport and also utilising the Dining Plan. 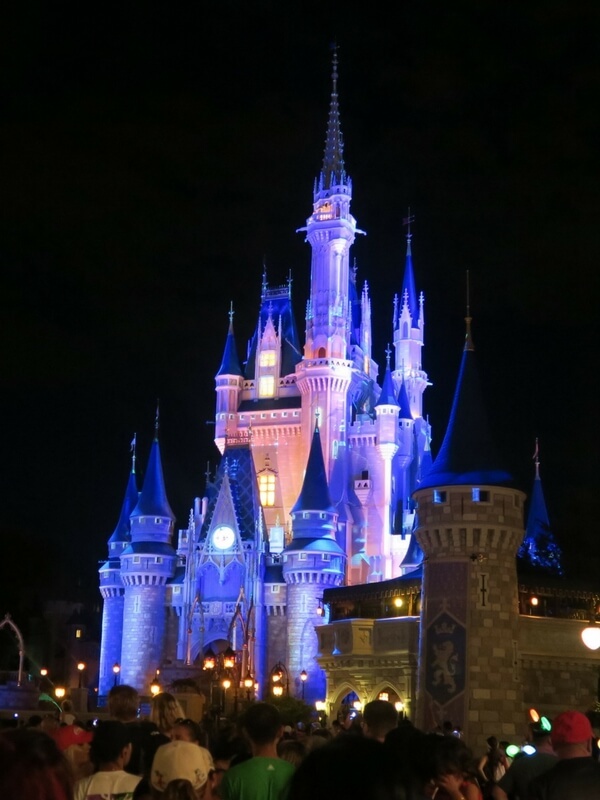 I always include our travel days in our Disney itinerary. Travelling from outside the USA, we tend to land somewhere between 3-4pm EST. By the time we have cleared customs and boarded the Magical Express to take us to our Disney resort, it’s usually around 6-7pm EST. Arrival day for us means soaking up the atmosphere, checking in, enjoying some dinner and usually a quick swim in the pool before bed, so we are well rested for our first full day in the parks. 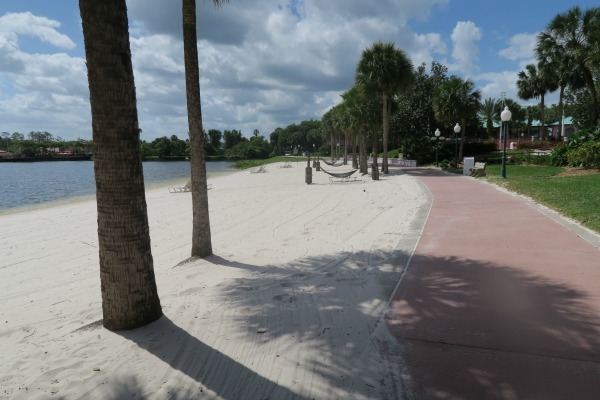 The trick to maximising your trip to Walt Disney World is to split your park time. If you’re wondering how to plan a day at Disney World, then check out my post showing you how to take advantage of 10 attractions in Magic Kingdom before lunch time. We are using Disney transport to get around, however using a car will be almost the same in terms of time used. Day 2 for us is an early start for rope drop at Magic Kingdom. We are on the bus by 7.30am and enjoying time on Main Street before the park opens at 9am. We plan strategically and manage to ride around 8 rides using our three Fastpasses by late morning on a busy day. For us this means walking from the castle through to Adventureland, covering Liberty Square and New Fantasyland. We save the rest of the park for another day. Lunch will be either a table service or quick service depending on the Dining Plan we’re using. It’s a great excuse to book a character meal, then it’s back to the resort for rest and swimming. Well rested, we are out to Hollywood Studios for the evening, managing to secure another couple of Fastpasses as we go, and once the fireworks / evening show is over we head back to rest for the following day. Another early start and arrive at Epcot for park opening. We’re only spending the morning at Epcot, so it’s three Fastpasses, which will include one of the top tier (Frozen Ever After, Test Track or Soarin’), Character Spot and one other. As we stop at Club Cool for our drinks tasting, we will also walk around the world showcase for a mid morning snack, a few drinks and then lunch on the way back around. This may be from Liberty Inn in the American Pavilion, or more often than not it’s from Lotus Blossom Cafe in the China Pavilion. Back to the resort to rest and swim again before a planned dinner in Magic Kingdom before Happily Ever After fireworks. We will check for any additional Fastpasses after we have used our three at Epcot during the morning. Day 4 will be a morning at Hollywood Studios, exploring the park and utilising three Fastpasses. By day 4 we have a rest during the evening, so we would normally plan a morning in the parks, swimming and rest during the afternoon, and a meal out in the evening. We like to explore other Disney resorts as well, so we may book something like Hoop De Doe Revue at Ft Wilderness. By day 5 we are in need of a rest, so we plan a water park day. We try to get to either Typhoon Lagoon or Blizzard Beach for park opening, secure a shady spot and set up for a good portion of the day. Water parks are restful, but they can also be tiring as you walk around them all day, so we plan another meal out in the evening, usually in a resort rather than the parks. Perhaps you might like to try out Trails End buffet restaurant at Ft Wilderness. No Disney holiday is complete without a visit to Disney Springs. Every time we visit it changes slightly as more is added. We enjoy a later start to the day and a quiet morning and lunch at Disney Springs. 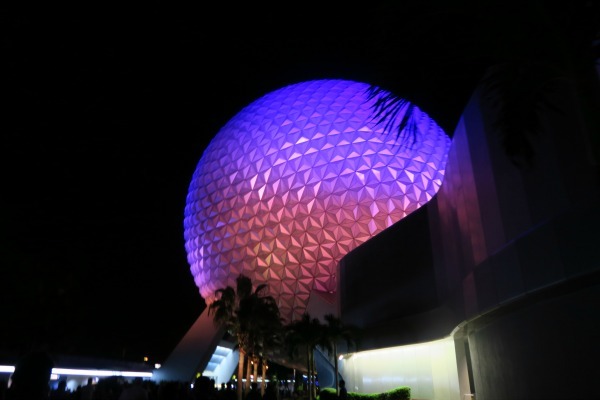 The afternoon is spent in the pool or resting with an evening at Epcot. We will plan a table service meal such as at Via Napoli, and then enjoy the World Showcase with some Fastpasses before setting up our spot in time for Illuminations. As the holiday wears on we become tired, so these later planned mornings help us to recover to enjoy the evening entertainment and also acts as a small break in the plan. A lazy morning by the pool and into Animal Kingdom for lunch, fast passes and a table service dinner at Yak and Yeti for example. The evening can be spent enjoying the sights Pandora has to offer before catching Rivers of Light as the sun sets. An early start to the day back to Animal Kingdom to finish off those Pandora fast passes. Remember that Flight of Passage and Navi River Journey are both tier 1 so you can only get one at a time. After a morning of getting wet on Kali River Rapids and exploring more of the park, it’s a quick service lunch and back to the resort for more swimming. The evening is spend exploring a different resort. Usually this is on the monorail loop as we like to ride the monorail at least once during the holiday, and then we can also enjoy the Magic Kingdom fireworks from one of the resorts. Magic Kingdom always features heavily in our Disney itinerary planning as it’s my favourite park. Back to the Magic Kingdom for breakfast this morning. 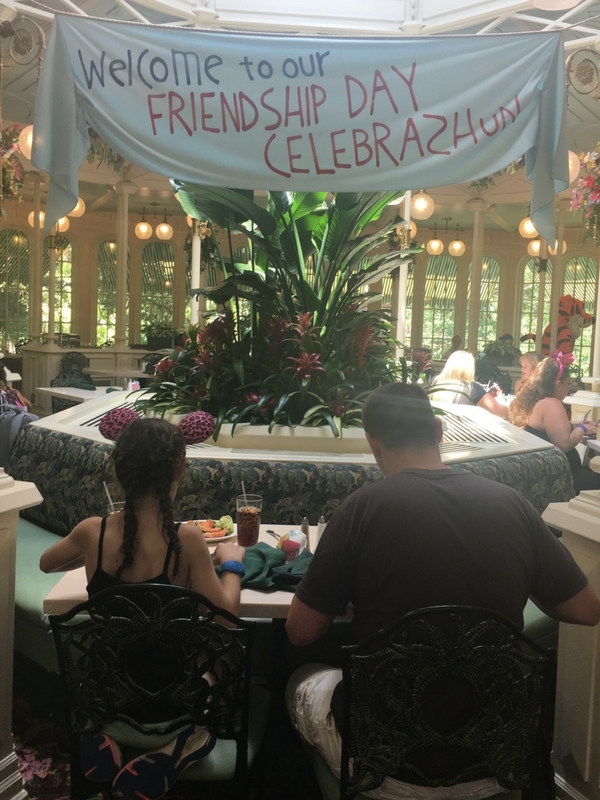 We like to visit Be Our Guest at least once during out holiday, and breakfast is a very good value quick service meal so worth booking at 180 days. A morning of additional fast passes, finishing off all the rides we haven’t managed to enjoy, and also revisiting our favourites such as Seven Dwarfs Mine Train. Lunch is usually another quick service before back to the resort for rest and swimming. At this point in the holiday, the one evening attraction we haven’t managed to see is Fantasmic, so we have learned that being on the dining plan, we can book a Fantasmic dinner package which allows us a Fastpass as well as a meal at either Hollywood and Vine, Mama Melrose, or The Hollywood Brown Derby. 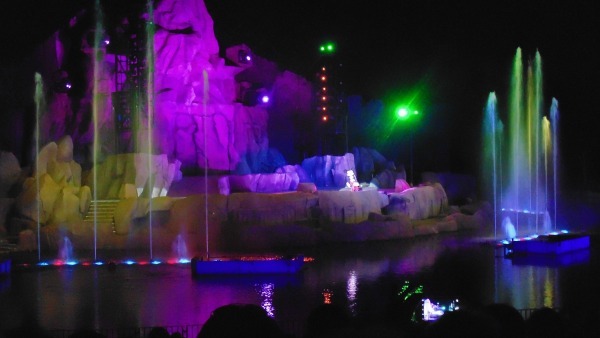 Fantasmic is a brilliant show in a huge open air theatre at the end of Sunset Boulevard. It’s well worth a visit during your holiday. Where has the holiday gone? It’s the last day already. 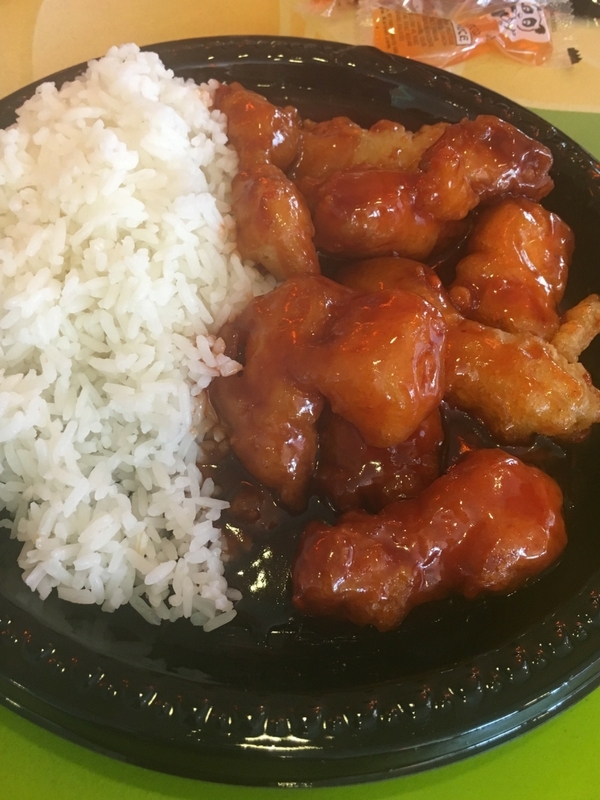 We try to pop back to the one park that we want to finish, perhaps there is something we haven’t seen, or a restaurant we want to try out for lunch such as Rainforest Cafe in Animal Kingdom. After some organisation of our room, and making sure we are packed for the travel day tomorrow, we head out to Magic Kingdom for our last night. For me it’s always going to be Magic Kingdom on our first and last day as it’s my favourite park. We spend the evening using Fastpasses for rides we haven’t already experienced and generally soaking up the atmosphere. 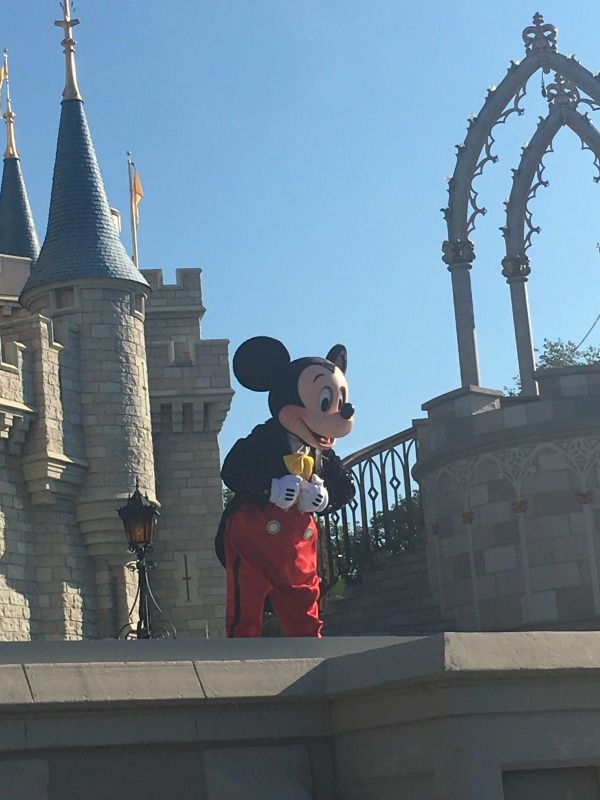 After this 10 day Disney World Itinerary are you all Disneyed out? Or could you stay for even longer and enjoy more Disney? There is never enough time to see and do everything no matter how long you stay or how many times you visit. Things are always changing with new attractions opening and old favourites closing. The most important piece of advice I could give anyone is to enjoy what you’re doing and don’t worry about what you’re missing. 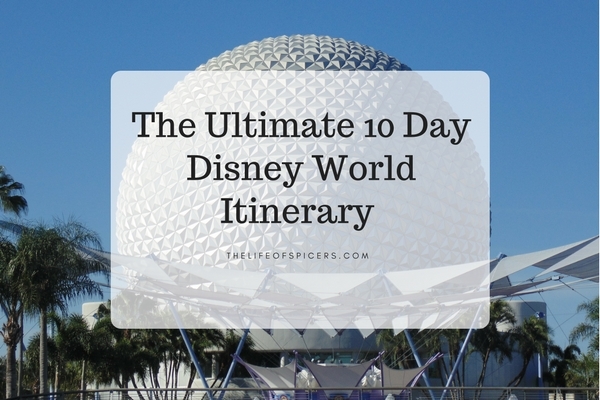 How would you spend 10 days in Disney World?